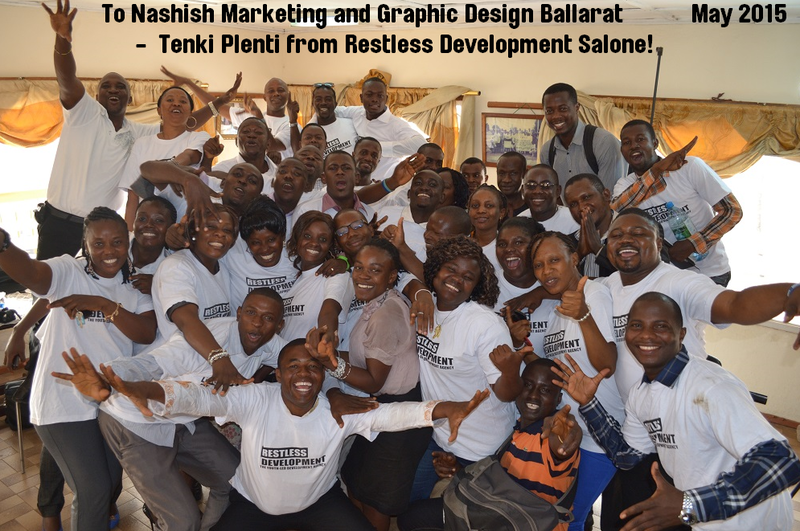 Nashish Marketing and Design are active members and supporters of local community groups. Sometimes our support is given in way of participation, sometimes our support is given using our expertise. 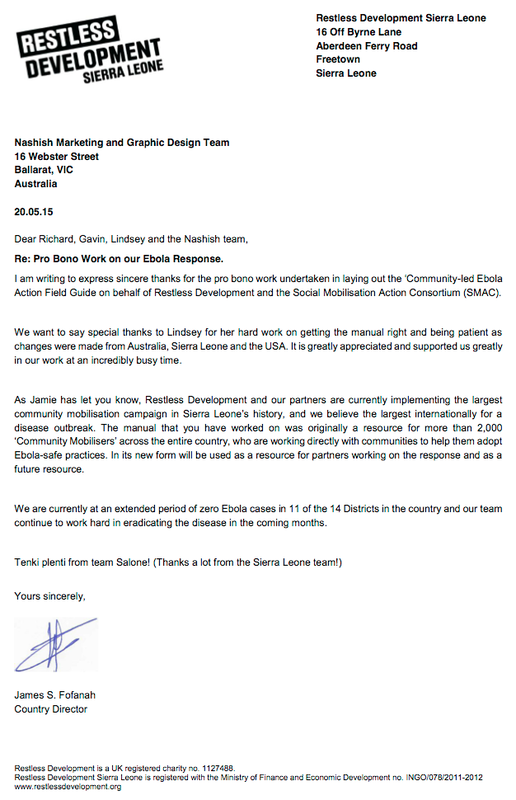 Below are some examples of our Community Support. Local Ballarat resident Shane Darroch has Woolworths and Victoria Police on board for this fundraising for the Ballarat Wellness Centre. Nashish has proudly donated the logo design, posters, Facebook presence, cycling uniform designs and other promotional material. This is a group of hard working parents of kids with disabilities who band together to offer the kids great sporting experiences. 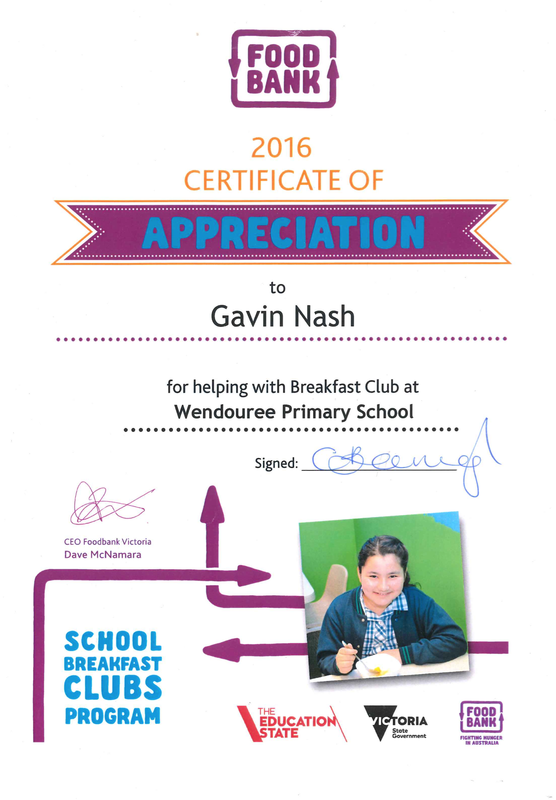 Winter 2016 saw them run an AFL Auskick program which was so successful they decided to run a MILO Cricket program through the summer. The group has now decided to form a 'club' so that parents, friends and the kids can all be identified with uniforms and jackets etc. We must mention our valued clients Westag Ballarat who financially supported this group for their summer sport in 2016. To follow this great group of kids and parents, check out their Facebook Page. Design of Posters & Flyers for the Ballarat Theatre Organ Society's Compton Theatre Organ. 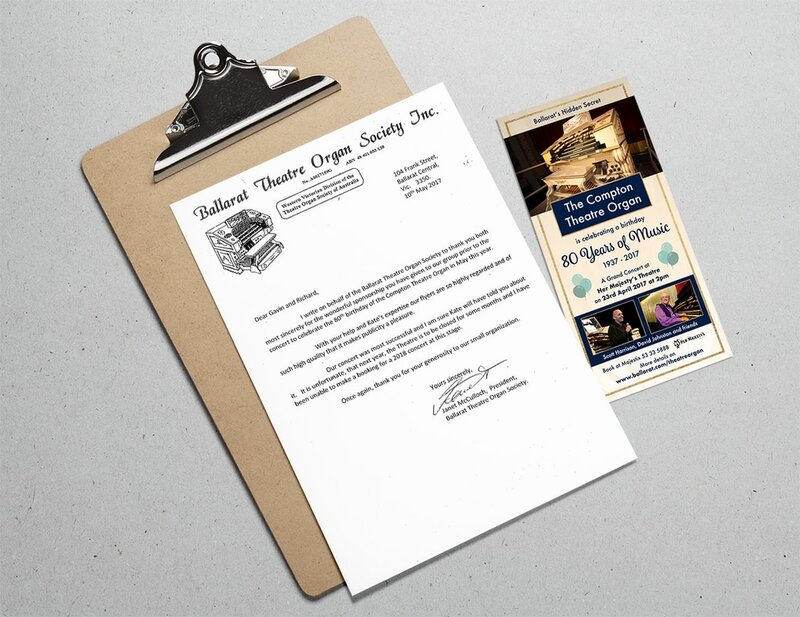 Nashish is proud to donate some design work as required to this Not-for-Profit organisation who have run the Ballarat Competitions over a long period of time. The Society is the longest operating competition in Australia. Nashish provides design, production and ongoing maintenance of this service club's website. Includes online purchasing for tickets to events. 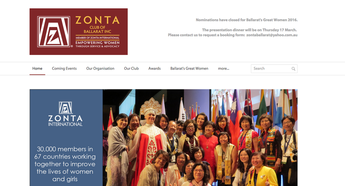 Other design items such as certificates and posters are also completed for Zonta. Nashish design and manage all fence signage for the LWFNC including layout and client liaison for approvals etc. Nashish has also donated the website design and maintenance and graphic email system to ensure all member are kept up to date. 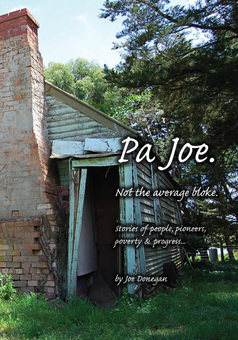 Design and layout of a 100 page book for Joe Donegan who has lived and worked as a farmer in the Wallace region near Ballarat his whole life. He is a second generation farmer on the farm and this book recalls stories and personalities from his and his father's time living in that area. 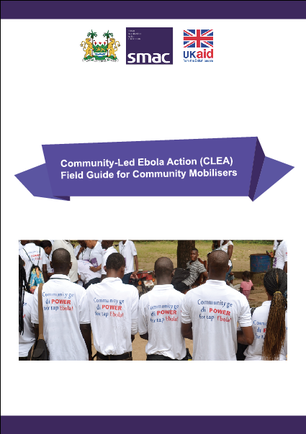 Nashish recently worked along-side Jamie Bedson from SMAC (Social Mobilisation Action Consortium) to create a field guide for the volunteers assisting in numerous countries across the world with people dealing with Ebola. Thank You to Jayden Reid at Prime Ballarat and Travis Britt from Create Infinity for their assistance in getting this ad to air.